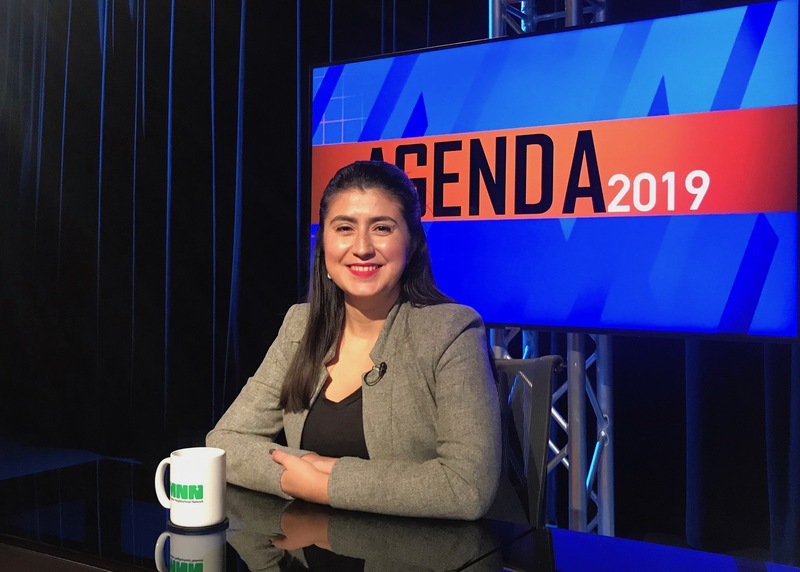 State Senator Jessica Ramos of Queens joined the show to discuss her first budget season in the state Legislature -- accomplishments, disappointments, lessons learned -- and what lies ahead on issues including marijuana legalization, rent regulations, and her farmworkers' rights bill. Long gone are the days when a family could live comfortably with a minimum wage job. In 1968, a worker making the federal minimum wage could support a partner and a child above the poverty line. Today, you can’t even support yourself and a child on it. Even with the recent increase to the minimum wage, hitting $15 an hour in New York City, it’s impossible for families in many parts of the state to live on minimum wage. Economic anxiety has unfortunately become the new norm. Traditionally, most families’ golden ticket out of poverty was a solidly middle-class job, like at a call center. Those jobs, however, are increasingly being lost to corporate greed. Since 2006, over 40,000 call center jobs were lost in New York. Forty thousand. That means 40,000 families have had to face the emotional and financial stress of losing a job. It’s not as though the need for call center jobs has decreased; the Bureau of Labor Statistics projects a 5% growth rate for customer service representative jobs between 2016 and 2026. Unfortunately, there has been an upward trend of massive corporations looking to ship these jobs elsewhere so they can pay workers less and often find better tax incentives. Outsourcing work to other parts of the country or abroad has become a common corporate tactic to reduce costs. Middle class jobs are replaced with cheaper labor (often with subpar working conditions). With the Trump administration’s tax cuts last year, outsourcing has become even more attractive to corporations, accelerating the process. The law rewards corporations with tax cuts and incentives for profits made overseas, with corporations paying as little as half or less of the corporate tax rate on profits earned abroad as they would here at home. This is why I support the New York State Call Center Jobs Act, a bill that would finally prevent companies from being rewarded for outsourcing these good jobs elsewhere. In January, AT&T announced it was closing a call center in Syracuse, eliminating 150 jobs. The workers in the call center had just two weeks to decide whether to accept a severance package or relocate. Call center jobs are critical lifelines to sustain a robust middle class and it’s important we recognize that moving these jobs out of state has devastated families and communities across New York. We can no longer allow corporations to line their own pockets at the expense of hard-working New Yorkers. 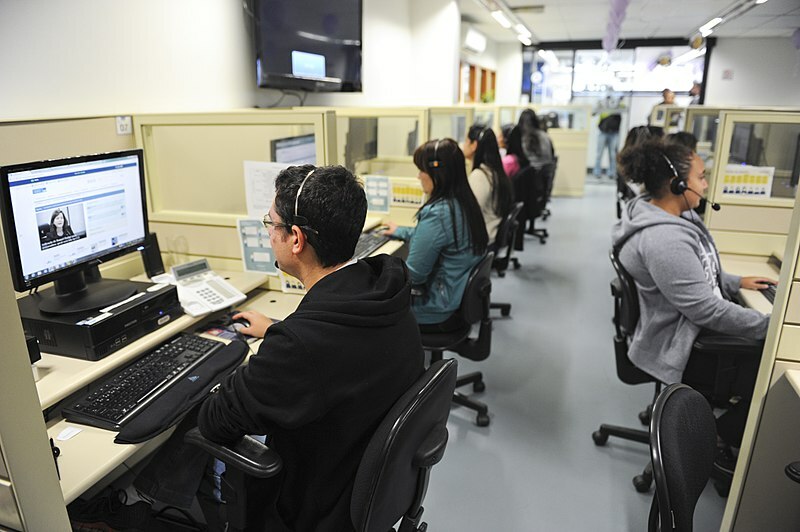 This bill would help New York protect call center jobs at employers with 50 or more full-time or full-time equivalent employees. Employers would be required to notify the Public Service Commission if they intend to relocate at least 30% of call volume in a year. Those companies would lose all grants, loans, tax benefits, and state contracts, since our government should not be giving tax dollars to companies that are leaving the state. It would also ensure that all call center work related to state business is performed by New York companies. This legislation passed last year in the Assembly and had considerable support in the Senate. Now that the Senate leadership has changed, we can and should get this done this year. I urge my fellow legislators to do what is right and protect New York’s middle class. 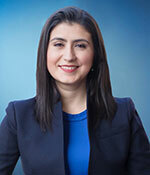 Senator Jessica Ramos represents State District 13, which includes the Queens neighborhoods of Corona, East Elmhurst, Elmhurst, Jackson Heights, and parts of Astoria and Woodside. On Twitter @JessicaRamos. Mayor Bill de Blasio received a warmer reception in Albany on Monday than he has in past years as he testified before the state Legislature on Governor Andrew Cuomo’s 2020 executive budget proposal and how it would affect New York City. Over the course of more than two hours, the mayor argued for more education funding, emphasized the need for a comprehensive revenue plan for the MTA, enlisted legislators to help fend off proposed funding cuts and costs shifts, and defended his administration’s work on multiple fronts. In prior appearances before the Legislature, de Blasio has faced the ire of Republicans who controlled the state Senate and have used the annual budget hearing to criticize the mayor’s policies and management of the city. But with Democrats now in control of both legislative chambers, the mayor found himself largely in agreement with lawmakers and their priorities on everything from school aid and transit funding to criminal justice reform, rent regulation and marijuana legalization. He called on the Legislature to give the city design-build authority for infrastructure projects, pushed for the expansion of a speed camera and red light camera program in the city, asked for repeal of Section 50-a of the state civil rights law, which prevents disclosure of police officer disciplinary records, and advocated for a commercial vacancy tax to fight a crisis of vacant storefronts in the city. De Blasio appealed to the Legislature to aid New York City in avoiding what he said is nearly $600 million in proposed cuts and cost shifts included in the governor’s budget. He reiterated the city’s slightly more rocky budgetary prospects that he raised in his own $92.2 billion preliminary budget proposal last week, where he noted that his administration is implementing a PEG (program to eliminate the gap) for the first time, with the goal of $750 million in total savings across agencies by the time the mayor releases his own executive budget plan in April (at which point he’ll also have to factor in the final state budget, which is due by April 1). City agency cutbacks, he warned, would be exacerbated if the governor’s budget passes in its current form. The mayor blamed nearly half the Cuomo “cuts” on education funding. Those include a $148 million shortfall in mandated spending on charter schools and special education services and a newly proposed school funding formula that de Blasio said would create a “winners and losers situation” by shifting existing funding away from needy schools. “Although I am certain the proposal’s well-intended, there are real problems with it,” he said under questioning from Assemblymember Ed Braunstein. The governor’s office has disputed de Blasio’s characterizations of “cuts,” noting that some of the mayor’s assessment is based on faulty expectations by the city. De Blasio also insisted, as he has often done, that the state should provide full funding under the Campaign for Fiscal Equity decision, which would mean about $1.2 billion in additional fair student funding for the city. “We should all be outraged that something that was decided by our highest court to help our children….somehow has not been brought to full fruition,” he later said. Again on this topic, Cuomo has disagreed with the mayor’s interpretation, which is shared by many Democratic officials, with the governor saying that the Campaign for Fiscal Equity has been paid off and is a thing of the past. De Blasio did commend the governor for backing a three-year extension of mayoral control of city schools, which Republicans often used as a cudgel against the mayor in order to extract concessions from the city. At Monday’s hearing, the mayor was able to tout his administration’s success with little pushback, pointing to record-high graduation rates. Senator Robert Jackson, however, did prod the mayor for more accountability within the system. “I don’t believe in control...I believe in authority with oversight at an appropriate level,” Jackson said. Legislators focused a significant amount of time on the MTA and proposals to find sustainable sources of revenue for the beleaguered authority, responsible for the subways and buses, while making its operations more efficient. Cuomo has proposed a congestion pricing system with some details left undetermined, but that would, among other things, give the Triboro Bridge and Tunnel Authority control over city streets. And he has said the city should split halfway any remaining MTA capital shortfall after congestion pricing revenue is counted. The governor has also been railing against the MTA structure and leadership, who he appointed, and has been arguing for greater control of the agency, which he already effectively controls. De Blasio has rejected congestion pricing as a silver bullet to solve the MTA’s woes and has said he would prefer a millionaire’s tax to raise the requisite funds for subways and buses. He repeated that argument at the hearing and said the MTA would need a “multi-element” solution that includes several different long-term streams of revenue, including perhaps a mansion tax, an internet sales tax, and revenue from legalization of recreational marijuana use, and a lockbox to ensure congestion pricing revenue is not diverted away from the MTA. Splitting capital costs with the state, he said, would be overly burdensome on the city’s already massive ten-year capital plan, which hit $100 billion for the first time when he released it last week. He also insisted he could only support a congestion pricing plan that had “hardship exemptions”, which went down well with some legislators but not others. For instance, Senator Jim Gaughran, a Long Island Democrat, agreed, saying he hadn’t seen a feasible proposal yet. He suggested a regional program that could also take into account commuters who use the Long Island Rail Road and bus systems, and a carve out for small businesses. Democratic Assemblymember Bobby Carroll of Brooklyn, on the other hand, said the mayor’s insistence on a progressive congestion pricing proposal seemed “disingenuous” since various carve outs would render the program insufficient. And though de Blasio has feuded with Cuomo over blame for the MTA’s failings, he generally supported the concept of giving more control to the governor. “I liken it to mayoral accountability for schools,” he said. De Blasio also found himself defending his role in the deal to bring an Amazon campus and an estimated 25,000 to 40,000 jobs to Queens, which would give the tech giant $3 billion in tax incentives and grants. To persuade Amazon, the mayor and governor struck an agreement to circumvent the local City Council-led land use process, drawing widespread criticism. De Blasio insisted on Monday that the $3 billion in incentives the company will receive is out of the city’s control -- most of the tax breaks are as-of-right incentives that Amazon would receive like any other company based on its location and job-creation, and $500 million of it is coming from the state in a capital grant. And he also revealed that he did not negotiate with the company to ensure neutrality if its workers attempt to unionize. When asked by Senator Jessica Ramos, a former de Blasio aide, he said he only insisted that the campus be built by union labor and that building services jobs should go to union workers. De Blasio has repeatedly said that he will continue to put pressure on Amazon related to its approach to employee unionization, and that the larger New York City pro-union environment will also play a role. In back-and-forth with lawmakers, de Blasio also made promises, some concrete and some speculative. He said that a commission looking at the city’s property tax system would release its recommendations this year. He said the city could shave years off the Rikers Island jail closure plan if a variety of criminal justice reforms are passed by the state. He said he would work with legislators to introduce a commercial vacancy tax bill in the coming weeks. And he promised to invest in improved bus service in the city even if congestion pricing does not come to pass. 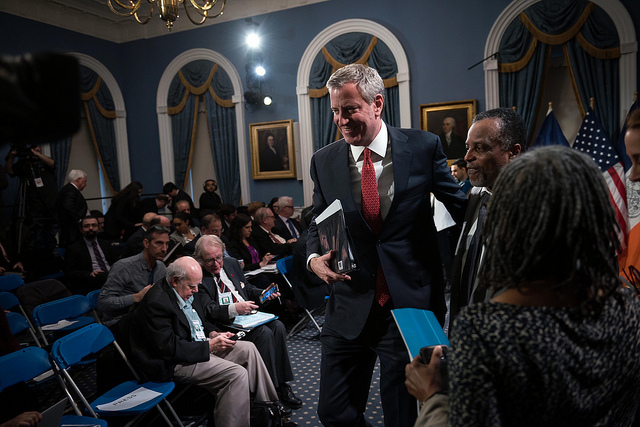 Of course, there were moments when de Blasio also pushed back. Senator John Liu, a Queens Democrat and 2013 primary opponent, pushed the mayor on his “seemingly magical solution” to expand healthcare access to 600,000 uninsured New Yorkers at an eventual cost of $100 million annually. Liu wondered whether that would mean the state could pass a single-payer program that doesn’t include New York City. “I would like to say yes to that but I can’t,” de Blasio responded, noting that single-payer healthcare would be a better option. Assemblymember Nicole Malliotakis, a Republican who ran against de Blasio in 2017, noted that the mayor was raising alarms about budget shortfalls in the city while also increasing spending by $3 billion. “If we are anticipating all these problems with less revenue coming into the city, why are you continuing to increase the budget dramatically?” she wondered. She also asked the mayor to cap increases of the city’s property tax levy, one of the few tax burdens under the city’s control. De Blasio did agree that the city needs a “more equitable solution” to property taxes though he disagreed that the city should cap the levy. He also defended the city’s budget more broadly, emphasizing that much of the increased spending has gone to pay increases for the municipal workforce in new labor agreements reached under his administration which had lapsed for years. The state Legislature will continue budget hearings over the next few weeks before each house -- or perhaps both houses together -- release responses to the governor’s proposal. First, Cuomo will release 30-day amendments to his budget plan. Negotiations will heat up in March as the April 1 state budget deadline looms. Jessica Ramos is challenging state Senator Jose Peralta in the Democratic primary, in a Queens district with a large immigrant population. Ramos, then Peralta joined the program to discuss their candidacies and to take questions from the hosts and listeners. At the center of the race are issues like the Dream Act, subway service, small business survival, and more. Also at play is Peralta's membership in the now-defunct Independent Democratic Conference, a breakaway group of eight senators that formed a ruling coalition with Republicans in the Senate. When state Senator Jose Peralta joined the Independent Democratic Conference at the beginning of last year, he became the latest Democrat to sever ties with his own party and become part of a coalition with Republicans, a move that further consolidated GOP control over the upper chamber of the state Legislature and enraged many Democrats. Fast forward a year and a half, and after considerable criticism and facing primary challengers in this year’s elections, the IDC dissolved its breakaway faction and rejoined the mainline Democrats in a deal brokered in part by Governor Andrew Cuomo, another Democrat facing a primary challenge from his left after being accused of propping up the IDC and Senate Republicans. But the “unity” deal did not dissuade the primary challengers, nor did it stem the tide of grassroots organizations backing them. On Tuesday, Make the Road Action, an advocacy group representing the interests of Latino, immigrant, and working-class communities, is endorsing Jessica Ramos’ bid to unseat Peralta in the Democratic primary for Queens’ District 13, which will be voted on September 13. In explaining its endorsement of Ramos, the group notes her track record as a community organizer as well as her progressive platform, which promises to fight for issues like immigrant rights, affordable housing, and public school funding. In the time leading up to the election, Make the Road Action plans to canvas for Ramos by activating thousands of members to engage voters in the district by going door-to-door and phone-banking. On Tuesday, the group will participate in a walking tour of the district’s public schools with Ramos, gubernatorial candidate Cynthia Nixon, and City Council Member Jimmy Van Bramer, both of whom have also backed Ramos. “Jessica Ramos has made it clear that she’s ready to fight for our community,” said Ruth López, a member of Make the Road Action, in a statement. The Senate district -- one of 63 across the state and one of eight represented by former members of the IDC -- encompasses parts of northern Queens. Peralta is in his fourth two-year term as a senator. Make the Road Action’s endorsement is the latest in a series for Ramos, who is seen as having among the best chances of the challengers taking on former members of the IDC. The challengers and their backers call the previously rogue senators things like “Trump Democrats” for their partnership with Republicans in Albany. Ramos has also been endorsed by advocacy groups including the Working Families Party and Our Revolution, by Nixon, who is challenging Cuomo in the primary, and by Comptroller Scott Stringer, City Council Speaker Corey Johnson, as well as Queens City Council Members Van Bramer and Costa Constantinides. Ramos formerly served as the Director of Latino Media for Mayor Bill de Blasio and as the Democratic District Leader in the 39th Assembly District from 2010 to 2014. A key pillar of her campaign against Peralta is that the IDC empowered Republicans, helping to keep Democrats from the majority and blocking progressive legislation. IDC members, on the other hand, have argued that they’ve been able to push the Senate Republicans to adopt some progressive policies and that they have been able to deliver more resources to their individual districts. In particular, Peralta’s move to the IDC last year garnered backlash because of his sponsorship of the DREAM Act, a bill that would allow undocumented students access to college financial aid. Republicans have opposed the bill, raising questions about Peralta’s rationale for working with the IDC and its GOP partners. In an April interview with City & State, Peralta defended his break with mainline Democrats by citing how the DREAM Act failed to pass by a count of two votes in 2014 because of the internal opposition of two Democrats. “I need to exhaust every opportunity and every avenue to make sure that we can pass these pieces of legislation that are landmark legislation,” he told City & State. The former members of the IDC have pledged that the breakaway conference is over for good, even if Democrats don’t swing enough seats this November to take majority control of the Senate, and thus both houses of the Legislature (the Assembly is controlled by Democrats by a wide margin). Make the Road Action’s endorsement of Ramos points to immigrant-advocates’ dissatisfaction with Peralta, of particular interest in the immigrant and Latino-heavy district the two candidates are vying to represent. The winner of the primary is virtually assured of winning the general election in the Democrat-dominated district. The deadline for candidates for state office to file their latest campaign finance disclosures with the state Board of Elections was Monday, July 16. The disclosures show candidate fundraising and expenditures from the last six months, from January to July. All 213 seats in the state Legislature -- 150 Assembly and 63 Senate -- are on the ballot this year, but few incumbents face competitive races. The state Assembly is overwhelmingly composed of Democrats, most of whom do not have a primary challenger. The state Senate, however, has become a battleground for control between Democrats and Republicans, with Democratic conference members holding 31 seats and Republican conference members 32 seats. After a Democratic unity deal in April, bringing a rogue group of eight “independent” Democrats back into the mainline conference, Republicans continued to hold power over the chamber with the help of Senator Simcha Felder, a conservative Democrat from Brooklyn who professes no loyalty to political parties and only votes on policies that he believes suit his district’s interests. In eight races, incumbent Democratic Senators who were once part of the Independent Democratic Conference -- a breakaway group that caucused with Republicans and helped them hold the majority -- face primary contests from progressive challengers. Those challengers are buoyed by an increasingly aware, angry, and active Democratic base that is set on removing the former IDC members from office. Those former IDC members, led by Senator Jeff Klein of the Bronx, continue to face criticism over their alliance with Republicans and the progressive legislation and budgeting that it may have held up. The challengers and those supporting them have gained momentum following the recent victory of Alexandria Ocasio-Cortez, who defeated ten-term U.S. Representative Joe Crowley in the Democratic primary for New York’s 14th congressional district. Notably, Crowley had helped brokered the reunification of the Senate Democrats, along with Governor Andrew Cuomo and other top party officials. Cuomo is himself facing a spirited primary challenge from actor and activist Cynthia Nixon. 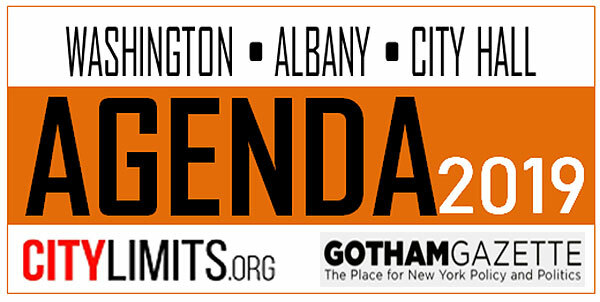 The former IDC Senators include six representing parts of New York City: Tony Avella of District 11 in Queens, Jose Peralta of District 13 in Queens, Jesse Hamilton of District 20 in Brooklyn, Diane Savino of District 23 in Staten Island and Brooklyn, Marisol Alcantara of District 31 in Manhattan, and Klein of District 34 the Bronx and Westchester, as well as David Carlucci of District 38 and David Valesky of District 53, both north of the five boroughs. While fundraising numbers only tell a portion of the story of a campaign or a race, campaign finance filings help indicate where candidate support comes from and what resources a candidate has to help get his or her message out to voters. Challengers to the IDC veterans were eager to tout their number of low-dollar donations as indicative of grassroots support, while the incumbents often posted healthy coffers, though possibly tainted by money transferred from a party account ruled in violation of election law. 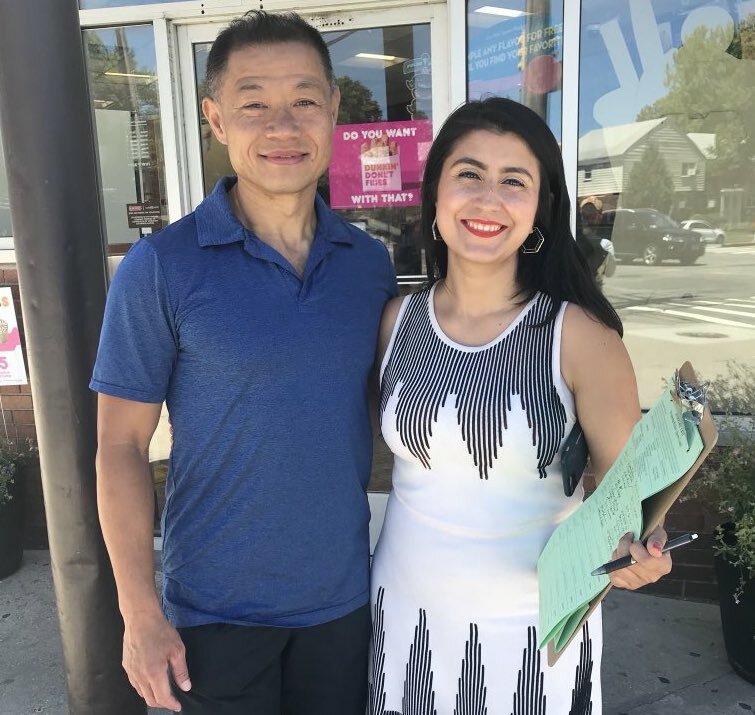 Former New York City Comptroller John Liu launched a late-stage challenge against Sen. Avella, jumping into the race earlier this month in time to petition his way onto the ballot. Liu has yet to raise funds for the race but he has an open campaign account, likely from his previous attempt to unseat Avella in 2014, with a little more than $3,000 in cash on hand as of January. Liu won 47 percent of the vote that year, just after he had lost in the Democratic primary for mayor of New York City in 2013. Avella, whose district covers who represents northeastern Queens, raised nearly $147,000 in the last six months, of which $68,000 was transferred from the Senate Independence Campaign Committee fund set up by the then-IDC and the Independence Party. A state court ruled last month that the joint fundraising arrangement was illegal, and the transfers could possibly even violate contribution limits established in election law. Avella spent about $80,000 over the filing period and has a balance of about $170,000 in his campaign account. One of the Democrats likely most affected by Crowley’s loss is Sen. Peralta, who is relying on the support of the Queens Democratic Party -- chaired by Crowley -- to help him retain his seat in northern Queens. With the party having lost the sheen of immense power, some Queens Democratic insiders say it could affect the candidates who have received its endorsement. Peralta has raised $322,000 and spent $297,000 of it since January. The SICC was more generous with him, transferring $113,500 to his campaign, with the most recent check having been sent just last week. He has about $182,000 remaining in his campaign account. Peralta is being challenged by Jessica Ramos, a former aide to New York City Mayor Bill de Blasio. Ramos raised $171,000 over the last six months and has spent $102,000 of it. She has just about $99,000 in cash on hand. In publicizing her haul, Ramos promoted the fact that she had raised most of the funds, about $129,000, from more than 1,400 individual donors, contrasting it with Peralta’s 238 individual donors who gave him about $69,000. Sen. Hamilton, who represents parts of central Brooklyn, pulled in about $295,000 for his reelection bid and spent $202,000. As with the other IDC senators, the SICC gave him a major boost with $109,700 transferred to his account. He has about $212,000 left to spend. Hamilton’s challenger is Zellnor Myrie, an attorney from Brooklyn. Myrie raised $163,000 in this filing period and spent about $96,000. He has just under $156,000 left in cash on hand. Myrie had more than 4,400 individual donors accounting for 98 percent of his fundraising haul, a fact he highlighted while pointing out that Hamilton had only 243 individual donors. The district covers Staten Island’s northern shore and parts of southern Brooklyn and is represented by Sen. Savino. The senator hauled in $451,000, of which $270,000 was transferred from an earlier campaign account to a new one. She spent $193,000 in the same period and has $259,000 left in her campaign account. Savino’s primary challenger, community activist Jasmine Robinson, has not yet filed her disclosure with the BOE. She said in an email that her campaign received an extension and will file the report next week. Sen. Alcantara, who is running for a second term, represents a district that covers long stretches of the west side of Manhattan. The incumbent, who narrowly won a tight three-way race in 2016, raised $116,000, which was outpaced by her $130,000 in expenditures. She also had the benefit of receiving $66,000 from the SICC. She has about $132,000 in cash on hand. Alcantara is facing Robert Jackson, a former City Council member who unsuccessfully challenged her in the 2016 primary for District 31. Jackson raised more than $156,000 and spent about $103,000. He has $157,000 remaining in his account. District 34 spans across Westchester and parts of the Bronx, and is currently held by Sen. Klein. As the former leader of the IDC, Klein played a powerful role in the state Legislature for more than seven years and was one of the proverbial ‘four men in a room’ who decide the state budget, along with the governor, Senate majority leader, and Assembly speaker. As part of the Democratic reunification deal, Klein assumed the position of deputy to the Democratic conference leader Sen. Andrea Stewart-Cousins. Klein raised nearly $740,000 -- $200,000 from the SICC -- between January and July and spent $613,000. He has a whopping balance of $2.1 million, having built up his campaign warchest over the last several years. Alessandra Biaggi is the upstart candidate taking on Klein in the primary. Biaggi’s latest filings were not available on the BOE website but her campaign said she had raised $260,000 and had about $50,000 in expenditures. Sen. Carlucci, who represents Rockland County and parts of Westchester, raised $114,000 for reelection and spent only $32,000. He received $26,000 from the SICC. He has a balance of more than $440,000. Carlucci’s opponent is Julie Goldberg, whose disclosures were not available with the BOE. Goldberg’s campaign manager, Susanne Kernan, pointed to technical issues with the submission and provided the filings to Gotham Gazette. They showed nearly $17,000 in contributions and and about $4,000 in expenditures, leaving her a balance of under $13,000. The district spans Madison County and parts of Onondaga and Oneida, and is represented by Sen. Valesky. He raised $126,000 and spent about $74,000 in the last six months. The SICC gave him $36,000. He has $665,000 remaining in his campaign account. Valesky’s opponent, Rachel May, raised $84,000 and had expenses worth about $38,000. She has $81,000 in cash on hand. Democrats see an opportunity this year to unseat Brooklyn Sen. Marty Golden, one of the few Republican elected officials in New York City. His district is situated in southern Brooklyn covering the neighborhoods of Bay Ridge, Dyker Heights, Bensonhurst, Marine Park, and Gerritsen Beach. Golden raised about $32,000 and has spent more than $125,000 since January. But he maintains a healthy campaign account, with $485,000 in cash on hand. 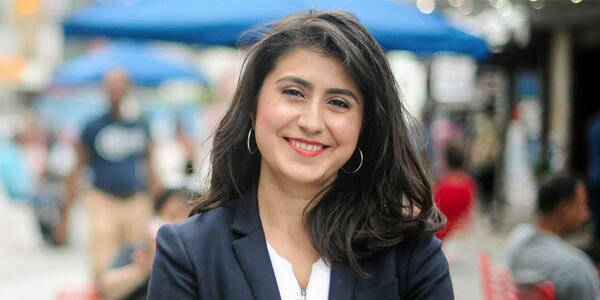 Two Democrats are competing in the September 13 primary -- Andrew Gounardes, who was an aide to former City Council Member Vincent Gentile, and Ross Barkan, a journalist-turned-candidate. The winner will take on Golden in the general election. Gounardes raised $124,000 and spent $47,000, and had a closing balance of $181,000. Barkan raised about $71,000 and spent $66,000. He has about $59,000 remaining. Felder’s role in propping up the Senate Republicans has prompted a primary challenge from attorney Blake Morris. Felder represents the neighborhoods of Borough Park, Midwood, and parts of Flatbush, Kensington, Sunset Park, and Sheepshead Bay. The senator is well resourced, having raised more than $430,000 since January and having spent about $110,000. He has a balance of $637,000, far surpassing his opponent. Morris had raised $41,000 by the Monday deadline and had spent $31,000 of it. He has a little over $10,000 in his campaign account with under two months till the primary. Note - This article has been updated to more accurately reflect Sen. Jeff Klein's fundraising and expenditure over the last six months. The numbers previously included were from his latest disclosure report which only showed his campaign finance activity since May. The eight-member Independent Democratic Conference of the New York State Senate has drawn increasing ire from Democrats around the state, especially in New York City. Democratic senators who have broken away from their colleagues in the regular Democratic conference, IDC senators form a power-sharing agreement with Senate Republicans, helping the GOP enhance its razor thin majority. The Senate is the only current Republican stronghold in state government. 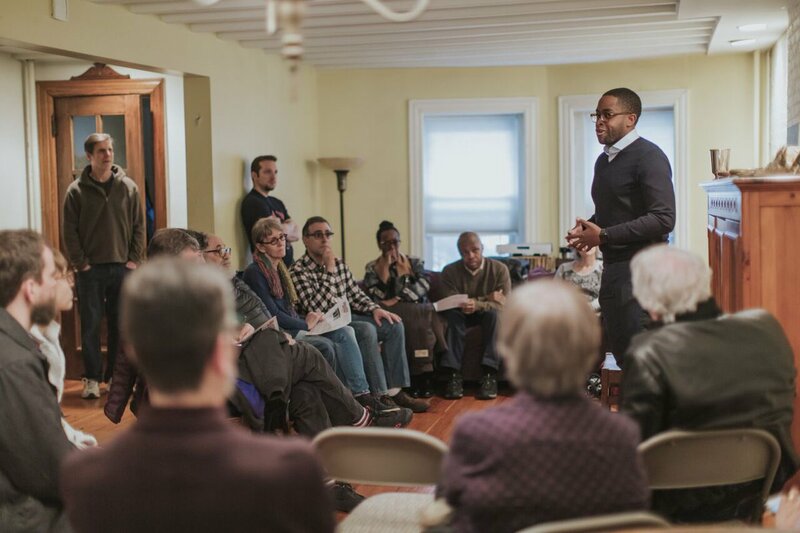 Several factors, including the election of Donald Trump as President, have led to increased awareness about the IDC, and most IDC members are now facing primary challenges from the left in this election year where all seats in the state Legislature are on the ballot. Jessica Ramos and Robert Jackson are two candidates taking on IDC members: Jose Peralta of Queens and Marisol Alcantara of Manhattan, respectively. On Monday, Ramos and Jackson joined the Max & Murphy Podcast from Gotham Gazette and City Limits to discuss their candidacies, why they are taking on the “Trump Democrats” of the IDC, and more. “I’m running for state Senate because the Queens I was born in, the Queens that I’m raising two sons in, the Queens I love, isn’t being represented in the state Senate,” Ramos said, indicating that the anti-IDC push is aimed at ensuring “real” Democrats occupy seats in the Legislature, not “turncoat” elected officials, as Jackson put it. Both candidates agreed that the IDC was helping Republicans stand in the way of a more progressive state. They called discretionary funding that IDC members bring back to their districts “blood money,” the spoils of a rotten power grab. Jackson, a former City Council member, is running in the Democratic primary for the 31st State Senate District against incumbent Sen. Alcantara, who was first elected to the seat in 2016, narrowly defeating Jackson and Micah Lasher, who came in second and is backing Jackson this time around, in a contentious primary. The district encompasses much of the west side of Manhattan, from Hell's Kitchen to Inwood. Ramos, a former aide to Mayor Bill de Blasio, is a first-time candidate, running against Sen. Peralta, who was first elected in 2010 to represent the 13th State Senate District, which includes communities of Jackson Heights, Corona, and East Elmhurst in central and northwestern Queens. While the IDC has claimed it is able to work with Senate Republicans to pass more progressive legislation than would otherwise be passed, Ramos, Jackson, and other IDC critics have sought to debunk that claim. The legislation has been “watered down,” Jackson said, referring to things like the state’s relatively new minimum wage program, and Ramos agreed. “They're eating crumbs off the Republican plates,” Jackson said of IDC members. Ramos describes funding IDC members get -- often significantly more than mainline Democratic senators and even some members of the Republican conference -- as “payment that they are receiving in exchange for supporting the Republican majority, and lest we forget that that discretionary funding is actually our very own taxpayer dollars.” The funding, she says, is more about politics than really serving the district. “Every single district that has New Yorkers that pay taxes should be receiving the same amount of funding,” Ramos said. Both Ramos and Jackson said that replacing IDC members with true Democrats would help lead New York in a more progressive direction. In total, they listed more than half a dozen bills or programs that they believe a Democratic majority in the Senate could deliver, including more education funding, single-payer health care, codification of Roe v. Wade abortion protections into state law, and more. The two candidates touted early endorsements they’ve received, such as Ramos getting the backing of The Working Families Party. During the podcast the candidates answered questions about their records on particular issues, whether they have a path to victory, and other tougher subjects than simply going on the attack against the incumbents they hope to unseat. Ramos, for example, worked for de Blasio, and has to navigate how she approaches the mayor during her campaign. She discussed her work at City Hall whether she expects the mayor to campaign for her leading up to September’s primary vote. Listen to the full Max & Murphy episode with Jessica Ramos and Robert Jackson here, or find Max & Murphy wherever you get your podcasts. Jessica Ramos and Robert Jackson have launched Democratic primary challenges to two state senators who are members of the Independent Democratic Conference (IDC), a group of eight breakaway Democrats that forms a ruling coalition with the Senate Republican majority. Ramos, a former aide to Mayor Bill de Blasio, and Jackson, a former City Council member, joined the podcast to explain their reasons for running, their criticisms of the IDC, and what they would hope to bring to Albany and their districts if elected this fall. Ramos is taking on Senator Jose Peralta in their Queens district, while Jackson is taking on Senator Marisol Alcantara in their Manhattan district. The two challengers did not hold back in criticizing the IDC members, saying the "Trump Democrats" had turned their back on voters and that propping up a GOP majority is bad for the city and the state overall when it comes to policies like rent regulations, education funding, and more. Listen to the full conversation and let us know what you think -- we're on Twitter @TweetBenMax and @JarrettMurphy, with guests Robert Jackson (@RJackson_NYC) & Jessica Ramos (@JessicaRamos). You can listen to the episode through the embedded audio below or download the episode wherever you get your podcasts. Challengers of the eight-member IDC, which forms a ruling coalition government with Senate Republicans, say they have drummed up broad grassroots support, as evidenced by pulling impressive fundraising numbers over a short period of time, with the bulk of the campaign funds raised from small donations. They argue that Democrats are energized to unseat defectors who are empowering Republicans and blocking essential progressive legislation from moving through the Legislature; the Assembly is overwhelmingly controlled by Democrats, who often pass bills that die in the upper house. Elections for every seat in the state Legislature are on the ballot this fall. While IDC challengers may have some solid initial money in the bank, without the support of the Democratic Party establishment -- members of which are behind the precarious Senate Democratic unity deal -- the candidates are looking at an uphill battle. Two candidates have emerged to take on IDC Leader Jeff Klein, a Bronx senator. Lewis Kaminski, a Bronx attorney, has raised $11,075, while Alessandra Biaggi, a former aide in the Cuomo administration, has raised $8,042 and spent around $2,000 in the early going. Klein, who has well over $2 million in his campaign account and access to a great deal more money in broader IDC campaign accounts, will be an especially difficult figure to unseat. He easily survived a primary challenge in 2014 from former City Council Member Oliver Koppel, though some activists and candidates argue that circumstances in 2018 are far different, in part shifted by both awareness of the IDC and the election of Donald Trump as president. Other members of the IDC may have a harder time beating back primary challenges. Zellnor Myrie, a Brooklyn native and community activist who is challenging Brooklyn IDC Senator Jesse Hamilton, for example, began fundraising in late October and has since secured over 650 donations totaling $93,577, according to his January filings with the state Board of Elections (BOE). Seventy-five percent of the campaign’s contributions were $100 or less and 100 percent of contributions came from individuals, Myrie said. IDC Senator Jose Peralta, of Queens’ 13th Senate District, also holds a small but comfortable initial fundraising lead over his two challengers, raising $79,460 and holding $157,006 in the bank. 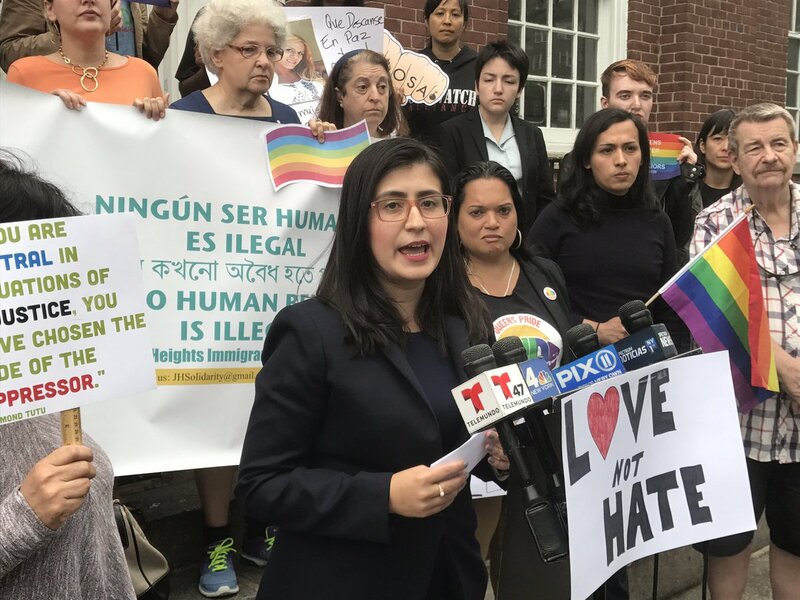 LGBTQ activist Andrea Marra has pulled in $47,630 in contributions and has $46,043 in the bank, while Jessica Ramos, a former aide to Mayor Bill de Blasio, received $30,997 and has $29,687 in the bank after a short early fundraising period since she left City Hall and declared her intention to unseat Peralta. A third Peralta challenger, Tahseen Chowdhury, a 17-year-old high school student, had $895 in July 2017, but has not completed a January filing. 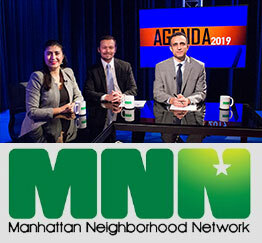 Senator Marisol Alcantara, of the 31st district in Manhattan, is facing a challenge from former City Council Member Robert Jackson, who lost to the incumbent in 2016, coming in third. This time, Jackson has the support of the second place finisher in that race, Micah Lasher, former chief of staff to Attorney General Eric Schneiderman. The 2016 Democratic primary to replace senator-turned-congressman Adriano Espaillat was close; Alcantara pulled in 32.43 percent of the vote, compared to Lasher's 30.19 percent and Jackson's 29.72 percent. Per his January filing with the state BOE, Jackson has raised $81,971 since July from thousands of individual donors and has a little over $105,000 in the bank. A source from the IDC noted that Jackson has spent funds from an old 2016 campaign account. Jackson's 2016 account reports $268.88 spent, apparently due to automatic cellphone app payments linked to a campaign credit card, a problem that has since been rectified, according to Jackson's spokesperson. Alcantara has raised $106,323, including a $10,000 transfer from the IDC, and has a little over $120,000 in the bank, according to her BOE filings. Syracuse University administrator Rachel May, who recently announced a challenge against IDC Senator David Valesky, has netted $34,799 in donations since she opened her campaign committee in late November. In an apparent attempt to undercut the initial haul, an IDC source noted that a large chunk of May’s money has come from family and friends outside the district. Valesky, of Oneida County, has raised $66,309 and has $612,761 in the bank. He told the Syracuse Post Standard he is unfazed by the competition. Currently, no challenger has declared candidacy for the seats of IDC Senators Tony Avella of Queens, Diane Savino of Staten Island, or David Carlucci of Rockland and Westchester Counties. A number of high profile New York Democrats, from Governor Andrew Cuomo to U.S. Senator Kirsten Gillibrand, have thrown their support behind the potential unity deal, which would preclude IDC challengers from receiving the potentially critical backing of the Senate Democrats’ fundraising apparatus, the state Democratic Party controlled by Cuomo, or Democratic Party leadership. “There is a deal in place with the Independent Democratic Conference. Therefore, we will not support any primaries,” said Mike Murphy, spokesperson for the Senate Democratic Campaign Committee. Senate Democratic Leader Andrea Stewart-Cousins has said that the deal will only be on the table if the Democrats regain 32 seats in the 63-seat chamber, which would have to happen through a special election to fill currently vacant Senate seats. Mainline Democrats led by Stewart-Cousins would have to follow through on the deal with Klein and the IDC, while also convincing rogue Democrat Simcha Felder of Brooklyn, who conferences with the Senate Republicans, to join them as well. Cuomo has not yet indicated whether he will call the special election to fill two Senate and nine Assembly vacancies before the session ends in June. A source from the mainline Democratic conference said that if the unity deal falls through, IDC challengers will be backed by the Democratic Senate Campaign Committee (DSCC), which is sitting on more than $1 million and raising more as the election year heats up. Peralta and Avella are the two Queens IDC members, though Crowley’s reach extends beyond the borough. Crowley had a stern warning for Peralta in particular. Currently, IDC challengers are supported by a number of grassroots progressive groups, including NO IDC NY, which since opening a multi-candidate campaign committee in August, has raised more than $20,000, mostly from small donations of $5 or $10. Since the summer, NO IDC has spent more than $8,500 in support for May, Biaggi, Zellnor, and Ramos, according to Board of Elections records. 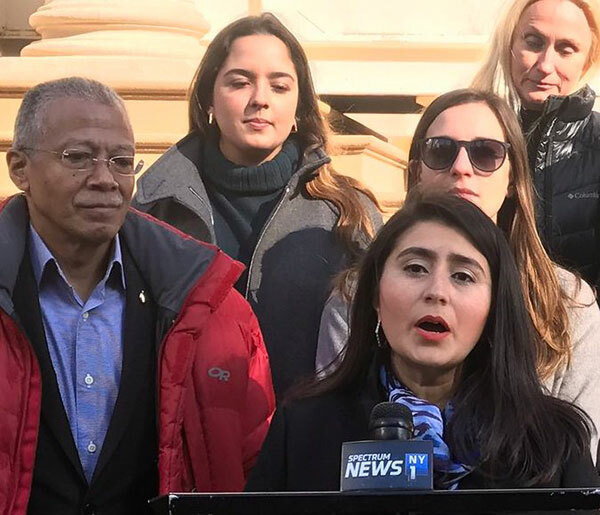 While a number of progressive groups oppose the IDC, those organizations tend to support a host of progressive issues, but NO IDC is focused exclusively on unseating the breakaway Democrats, according to the group’s treasurer, Jim Casteleiro. Meanwhile, IDC members have additional support from the Senate Independence Campaign Committee (SICC), which has $1.2 million in the bank. In addition to transferring money to Alcantara and Hamilton, records show the SICC has sent $25,000 to Avella, who may face another challenge from former City Council Member, Comptroller and mayoral candidate John Liu. An IDC spokesperson dismissed the notion that any of the anti-IDC candidates pose a serious threat. "The Independent Democratic Conference and all eight members demonstrated they have the resources necessary to communicate with voters and are all well positioned to win reelection," said conference spokesperson Candice Giove. Clarification: The article has been updated with an explanation from Robert Jackson's campaign for payments made from a 2016 campaign account.